Horses are the original man’s best friend since anywhere from 4000 to 2000 B.C. We’ve used them to travel to faraway places and to wage war on the battlefields. Yet, even though we’ve been around them for so long, there is many things we don’t know about them. Below, you can find 35 of the most interesting and bizarre facts that we have found about horses. 1. Horses can run within hours of being born. 2. Horses have the biggest eyes of any other mammal found on land. 3. While some people believed that horses were color blind, they’re not. However, they are better at seeing yellows and greens than purples and violets. 4. Horses engage in a nose enhancing technique that’s known as “flehmen,” to determine whether a small is good or bad. This technique makes the horses look like they’re laughing when they’re really not. 5. 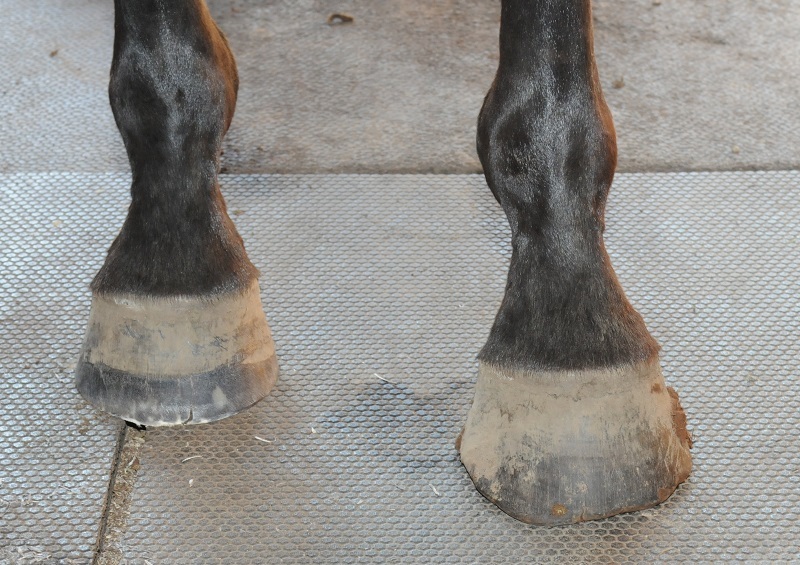 Horse hooves are made out of the same exact protein that makes up human hair and fingernails. 6. A horse’s teeth take up more space in their head than their entire brain. 7. You can tell the difference between a female and male horse by the number of teeth that they have. 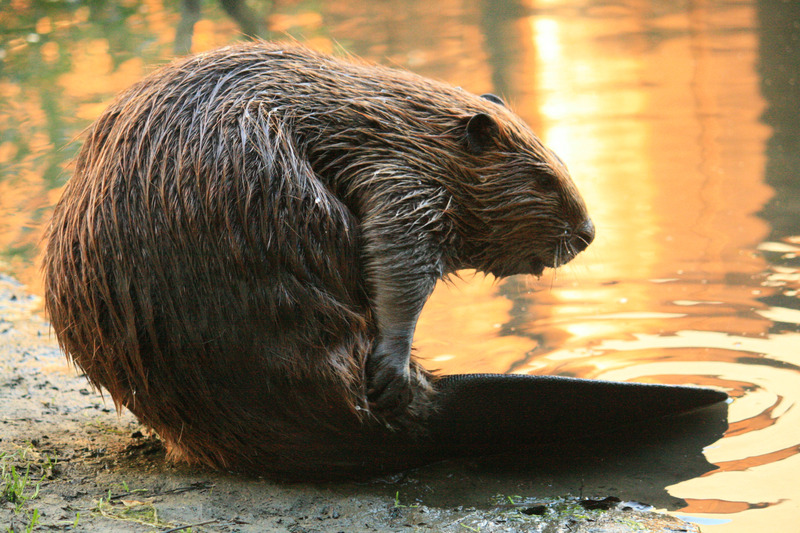 For example, males have 40 teeth while female have 36. 8. In 1872, Leland Stanford made a bet that at some point in the gallop, all four of a horse’s legs are off the ground at the same time. Eadweard Muybridge proved him right by using a series of 24 different cameras and taking pictures of a racehorse named Sallie Gardner during a gallop. 9. A horse in the 19th century named “Old Billy”, reportedly lived to be 62 years old. 10. 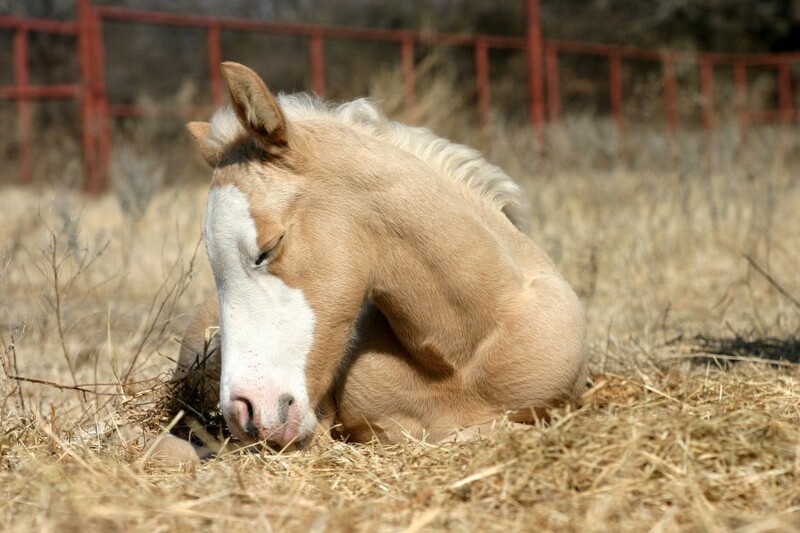 Horses can sleep both lying down or while standing up. 11. Since horse’s have eyes on either side of their head, they are capable of seeing nearly 360 degrees at once. 12. From 1867 to 1920, the population of horses shot up from 7.8 million to 25 million. Many people believe that this was due to the rise of the car. 13. Horses use their eyes, ears and nostrils to express their current mood. 14. The Przewalski’s horse is the only true wild horse species that’s still in existence. They can be found in Mongolia. 15. 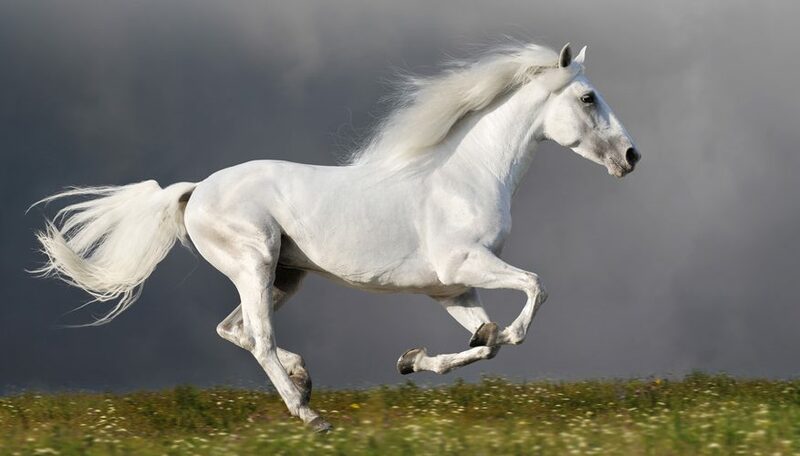 The fastest recorded running speed of a horse was 88 kilometers per hour, or 55 miles per hour. 16. An adult horse’s brain weighs 22 ounces, which is about half of a human brain. 17. Vocalizations are very important to horses. For example, whinnying and neighing sounds are made when horses meet or leave each other. Stallions, which are adult male horses, make loud roars as mating calls. 19. There is only one species of domestic horse; however, there are 400 different breeds of the domestic horse that specialize in everything from racing to pulling wagons. 20. In China, horses hold a place of high honor due to often being linked to heroic exploits in war. 21. 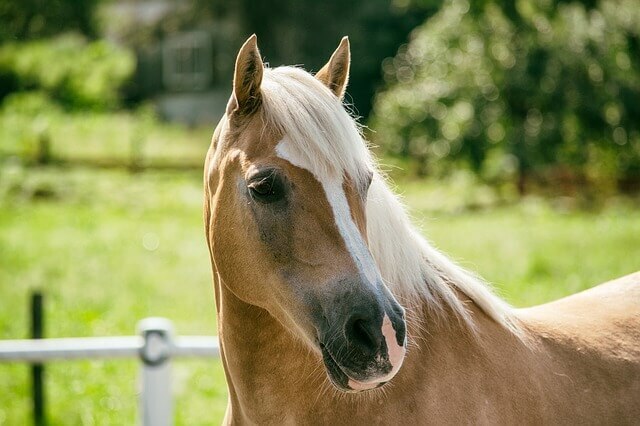 The first cloned horse was a Haflinger mare in Italy in 2003. 22. A horse can see much better at night than a human can; which is most likely from their larger eyes. However, it takes much longer for a horse’s eyes to adjust to the darkness than a human’s. 23. Horses produce about 10 gallons of saliva per day. 24. 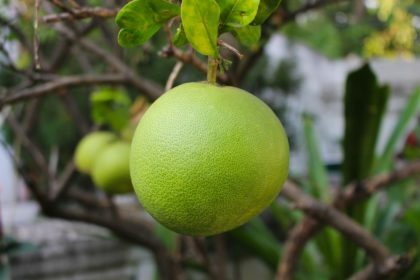 Horses like very sweet flavors and will outright reject anything that tastes sour or bitter. 25. Wild horses usually gather in groups of 3 to 20 animals. A stallion will lead the group, which consists largely of mares and young foals. When the young males become colts, which is around two years of age, the stallion will drive them away. The colts will then roam with other young males until they can find their own group of females. 26. Almost all of the time, wherever a horse’s ears are pointing to is where they are looking. If the ears are pointing in different directions, however, the horse is looking at two different things at the same time. 27. On the bottom of a horse’s hoof is a triangular shaped area called the “frog,” which acts like a shock absorber for the horse’s leg and helps pump blood back up the leg. 28. The average horse’s heart weighs about 9 to 10 pounds. 29. A horse’s height is measured in units called “hands.” One hand is equal to four inches. 30. The tallest horse on record was a Shire called Sampson. He was 21.2 hands, which is 7 feet and 2 inches tall. 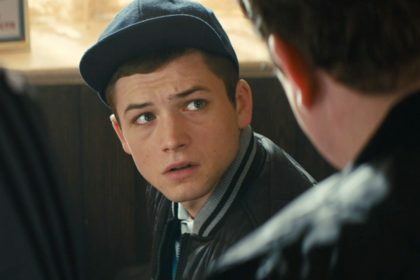 He was born in 1846 in Toddington Mills, England. 31. The record for the highest jump over water is held by a horse called Something who jumped 27 feet, 6 and 3/4 inches on April 25, 1975 in Johannesburg, South Africa. 32. The record for the highest jump made by a horse is held by a horse named Huaso who jumped 8 feet, 1 and 1/4 inches on February 5, 1949. 33. Horses drink at least 25 gallons of water per day. 34. 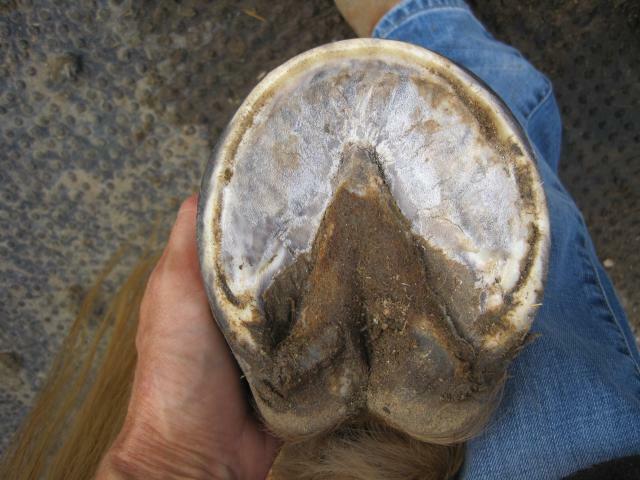 It takes about 9 to 12 months for a horse to regrow its entire hoof. 35. Scientists believe that the first known ancestor of the horse lived about 50 million years ago. 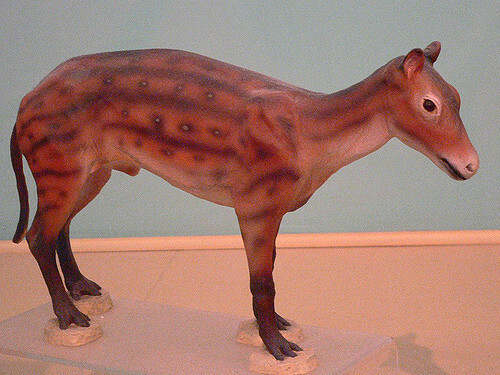 The horse was called Eohippus and had four padded toes on the front legs and three padded toes on the back legs.